ESTA NIGHT PRIZE EVENT 2019: TWO AWARDS FOR FAGIOLI | Fagioli S.p.A. 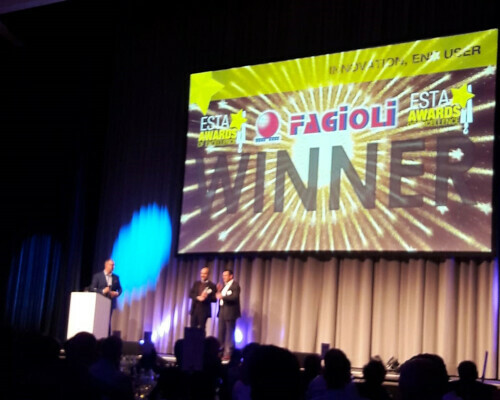 It is a real pleasure to announce that Fagioli was awarded the 2019 ESTA ( European Association of abnormal road transport and mobile cranes) “SPMT JOB OF THE YEAR “ and the “TRANSPORT JOB OF THE YEAR OVER 120 TON” awards during the ESTA dinner prize event held in Munich on the 11th of April. 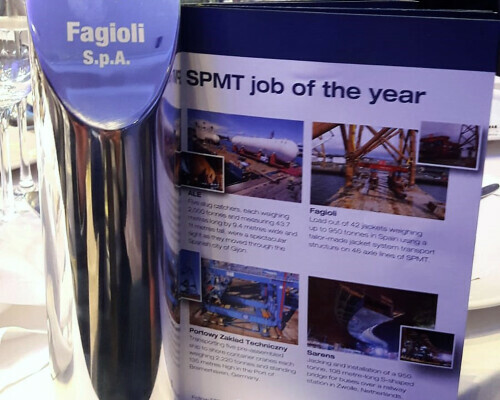 The “SPMT JOB OF THE YEAR” prize category was awarded to Fagioli was for the TRANSPORT, AND LOAD OUT OPERATION OF 42 OFFSHORE JACKET MODULES WEIGHING UP TO 950 TON EACH IN SPAIN . The” TRANSPORT JOB OF THE YEAR OVER 120 TON” prize category was awarded to Fagioli for THE TRANSPORT OF NO. 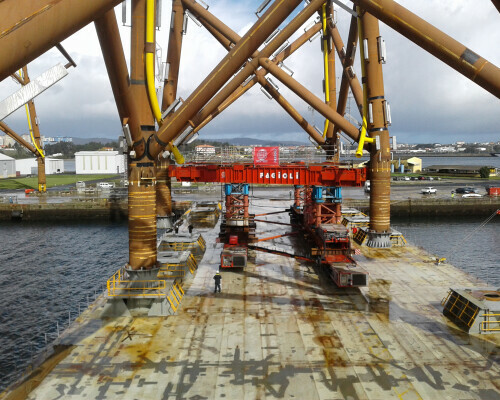 2 ROTORS (175 ton each) FROM GENOVA TO A POWER STATION LOCATED UP TO THE MOUNTAINS” . 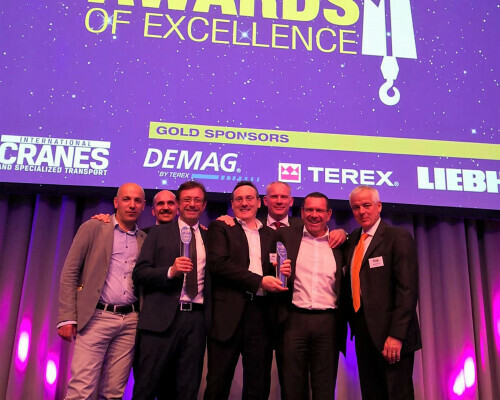 Two important awards for the excellent job executed by Fagioli team!